Fantastic opportunity for spacious city living and private parking in the highly desired & historic Capitol Hill/Cheeseman Park neighborhood. 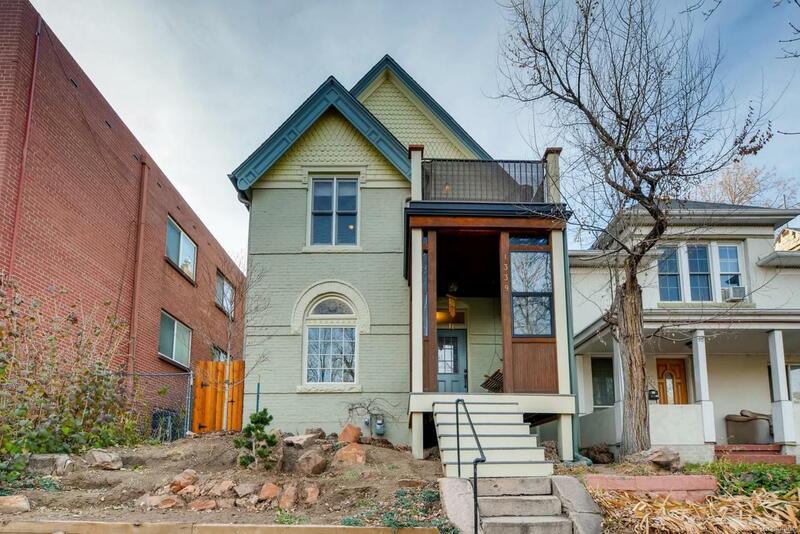 Just a short walk to downtown Denver, Cheeseman Park, Capitol Hill, shops & restaurants, this property is very conveniently located for everything Denver has to offer. A gorgeous foyer leads you to an open floor plan that boasts a beautifully updated kitchen and study, complete with new maple countertops and hickory cabinets. Washer/dryer is located in the basement that is easily accessed through the kitchen. New flagstone and a pergola were recently installed in the backyard to create a clean and relaxed atmosphere for entertaining. Bonus rooms/flex space both upstairs and in the basement, perfect for storage or an office/yoga room. A perfect mix of original and updated features throughout, you can absolutely feel the love and care that this home has seen over the years. Come see for yourself and enjoy!